Videographers and photographers are fast becoming the keys to the future of real estate marketing and showcasing properties. The days of still photos printed in newspapers, real estate guides and online publications are quickly becoming a thing of the past. The buyers of today seek out (and expect) innovative ways to engage with property listings to help them make the best decision for them and their families. Leveraging video marketing and 360-degree real estate walkthroughs is a powerful strategy to promote a property and all it has to offer in the digital realm, attracting buyers from across the nation and around the world. Videos have a unique way of fostering engagement, producing higher results in lead generation, click-throughs, inquiries, appointments, and closings. In fact, real estate video marketing and 360-degree walkthroughs are fast-tracked to become one of the most popular ways to attract buyers while highlighting the best features any property and real estate agent/firm have to offer. Hiring professional photographers like Mason Seifert Photography in Hartland, WI to craft 360-degree real estate videos as part of a strong real estate marketing campaign can benefit everyone involved in the transaction. From the buyer to the seller, agents, and everyone in-between, 360-degree video marketing sets the stage to impress. Why is Video So Powerful for Real Estate Marketing? We could bore you all day with our own take on why video marketing is so powerful and results driven as a medium, but don’t take our word for it. Let’s take a look at some fun facts surrounding why video marketing is set to take the stage now and into the foreseeable future. And that’s just the tip of the iceberg. If you’re convinced and ready to get started today, give us a call or drop us a line. Mason Seifert Photography has the experience you need to put out top quality, laser targeted 360-degree walkthroughs and videos that highlight your portfolio’s best features. We all know videos sell. More so now than ever before. If a picture is worth a thousand words, a properly crafted video is worth 10,000+. Short Video Blogs – Video blogging has the potential to be one of the best forms of marketing videos out there. If you’re someone who struggles with writing, a perfect alternative is to record a short video, then have it transcribed and uploaded to your professional real estate blog. PowerPoint and/or Keynote Presentations — In lieu of a marketing video, why not create a sharp, interesting, and engaging PowerPoint presentation that features you as the narrator using your estate and marketing expertise to describe the slides? In terms of video marketing, this option has all of marketing’s benefits without the stress of standing and speaking in front of a camera. Video Updates on the Real Estate Market — Monthly updates are key to keeping potential sellers up to speed on what’s happening with the real estate market. Don’t be afraid to showcase your expertise as you talk about how the market is faring and why. Listing Tours — Real estate video marketing is an exciting and creative way to engage potential homebuyers. In giving video tours of your current listings, you are inviting buyers into your office while also pleasing your sellers. As an added bonus, your business will climb the top of the Google search results. First-Hand Accounts — Otherwise known as testimonials, these types of videos are fantastic ways to provide proof while boosting your company’s reputation. When used as part of your real estate video marketing plan, these videos can boost online traffic to both your real estate office and your current listings. Just be sure to share the clips on social media, your website, and on YouTube to increase chances of visibility. Getting to Know Me Video — Don’t be afraid to jump in front of the camera and let people know just who you are and where you came from! A key reason why buyers select the agents they do is because of the trust they have in that particular agent. A fantastic way to build that trust is to enlist the help of a professional photographer like Mason Seifert Photography in Hartland, WI, to record a candid, warm, and engaging video that lets potential buyers and sellers get to know the real you. Community/Neighborhood Clips — As important as it is to give buyers that 360-degree walkthrough of a home that’s up for sale, it’s equally important to showcase the neighborhood and/or the community that the listing sits in. You’ve got that buyer to fall madly in love with your listing, why not let them fall deeper in love with the community? Your photographer/videographer is just the person to do this for you! Send Videos through Email — Real estate doesn’t have to just be about business. It’s also fun to send videos saying congratulations, Merry Christmas, Happy New Year, Happy Birthday, or acknowledging other important events in buyers and sellers’ lives. FAQ’s — Buyers and sellers have the questions, you provide them with the answers! In your daily travels as a real estate agent, you already have a list of the most frequently asked questions. Why not answer them in a short video? But don’t try to tackle them all at once. Instead, take on five at a time and make the video fun, short, and sweet. So, now that you’ve got a complete arsenal of videos and PowerPoint presentations, where exactly should you upload them so that they aren’t just hanging out there in the virtual universe? YouTube – YouTube is the second largest search engine in the world, with Google taking first place. According to recent reports, 55 percent of YouTube videos appear within Google top ten search results. Facebook – Facebook Live videos are a fantastic way to quickly reach your followers. In fact, these videos reach people a lot faster than YouTube videos do. Despite this, you should still make uploading to YouTube one of your top priorities. Twitter – Some agents are finding success using Twitter as a means of linking videos and sharing short, important snippets of information. Instagram – Instagram is a wonderful way to not only share photos but also videos and live sessions. Much like Facebook, you can reach vast amounts of followers through this popular social media site. Snapchat – Go ahead, have fun with Snapchat. Your clients and followers will love to see that you have a sense of humor by living on the lighter side. Snapchat is a great way to reach out to clients and potential buyers and sellers through an informal, and relaxed setting. Your own website – In uploading your YouTube videos to your own website, this ensures that you will get more overall views of all of your YouTube content. And don’t pick just one medium…use them all! The more exposure potential buyers and sellers have to you, your listings and your properties, the higher the potential for success. Greater exposure isn’t just about selling existing listings, its also about getting your company and good name out there, boosting recognition and attracting the right type of clients to your brand. When you hire a professional photographer/videographer to help with real estate video marketing, he/she may suggest most all of the video options mentioned above. It’s important to think outside of the box when it comes to real estate marketing. If you’ve been thinking that a 360-degree walkthrough was simply a comprehensive video tour of your listings, then think again! Be creative! In order for buyers to have a complete picture of you, your company, your listings, and the neighborhoods and communities that you sell in, then videos such as testimonials, FAQ’s, community tours, market updates, first-hand accounts, video blogs, and “getting to know me” videos, together with video tours of your latest and greatest listings create the total package — a full 360-degree walkthrough that buyers and potential clients can get on board with. Don’t sell yourself short. Why not push the envelope a little further and include more kinds of videos that expand upon your real estate video marketing plan? Interviews — Interview those clients who you’ve helped buy and sell a home. Word of mouth is the best form of advertisement, after all. Remember, building trust is important. And what better way to build a reputation while strengthening trust than showcasing the positive experiences that current and former clients had while working with you? Informational Clips — Just because you focus on buying and selling doesn’t mean you can’t educate at the same time. Use your expertise to enlighten potential buyers and sellers into the vast world of real estate. Consider teaching about the ins and outs of closing costs, the intricacies of real estate contracts, and maybe even what to look for in a home inspector. The possibilities truly are endless. Reviews of Local Businesses — Along with providing buyers a tour of the neighborhood, it’s also important to shine a light on the business community. Explore and review local businesses and highlight what’s special about them. What’s up with that local doughnut shop that all the locals frequent? Why is it that the neighborhood tailor is always bustling? Real-Time Videos — Otherwise known as live streams, this option requires skill, guts, and the ability to roll with the punches. And with so many social media sites like Facebook and Instagram offering live streams these days, there are more than enough opportunities to connect with clients and followers. A really successful live stream can happen with the smallest amount of preparation. Remember going live also allows you to interact with everyone watching – which also allows for great Q and A opportunities. Videos Showcasing Community Events — What events have everyone in town leaving their houses? Why not take a video to showcase those events that make the community special? This is a perfect opportunity to show off some neighborhood charm. How-to videos — Are you looking to dial up the warmth factor? Make a “How-to” video that demonstrates something you know how to do well as a skilled real estate agent. Think about passing on important tips and tricks to your buyers and sellers that will help make them savvy out there in the world of home buying and home selling. Year-end Recaps — It’s okay to brag! Think about creating a “Year in Review” video that recaps some of the highlights in your year or in the real estate market in general. Clients love to keep track and stay up to date with their real estate agents. Don’t leave them hanging. Go ahead and tell them all that’s good! Recent studies indicate that 58 percent of home buyers love and have come to expect to see videos for homes they are looking at while online. Ready to Take your Real Estate Game to the Next Level? If you’re in the Hartland, WI area, give Mason Seifert Photography a call. Mason has shot over 200 homes to date and strives to present new and exciting angles in showcasing homes. Mason Seifert Photography has three packages to choose from depending on your unique needs. 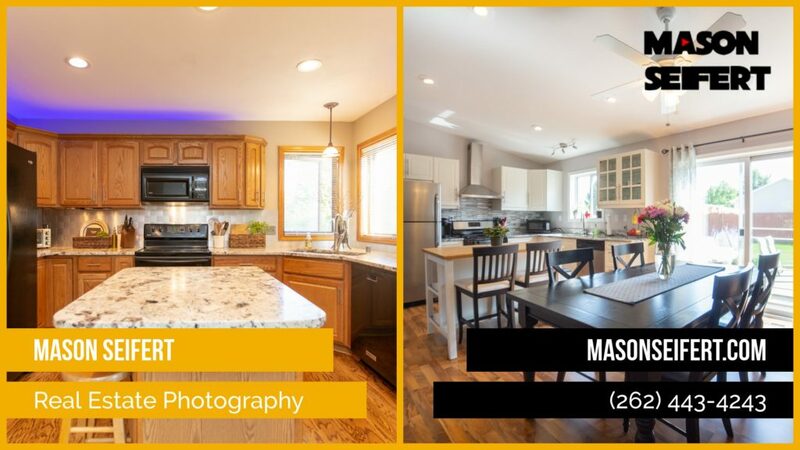 Since the fall of 2016, Mason Seifert has used and continues to use different lighting, unique angles, and staging settings to differentiate himself from other real estate photographers working in the market. 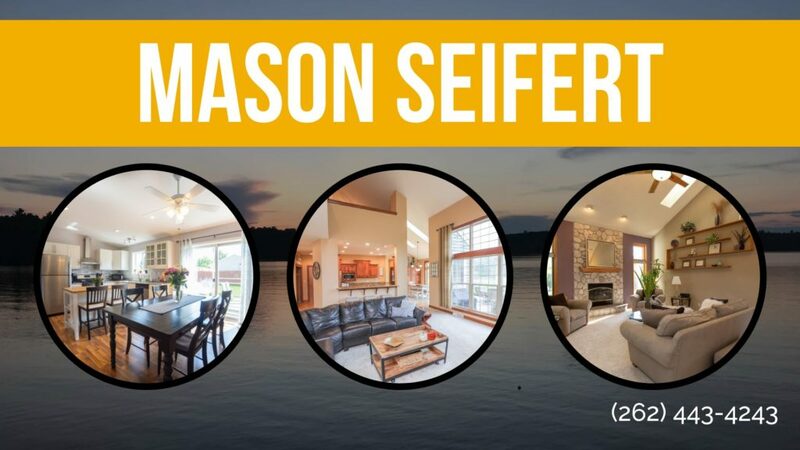 If you have been thinking of adding a real estate video marketing plan into your business, then Mason Seifert Photography has the experience and skills you are looking for in a photographer and videographer.